Christmas is the most wonderful time of the year! During Christmas, everything gets a different dimension and it is the time when we give gifts to the people we love. Now is the best time to start thinking about what to give to your husband, wife, children, or parents. To help you with the choice, we have made a list of best Christmas tech gifts for this year. DJI Osmo 4K Handheld Camera/Gimbal reimagines movement motion without blur. Action shots without shake. Perfect video even when you move. Thanks to advanced technologies specifically designed to keep the camera flat no matter how you move it, the Dji Osmo helps you record videos and take photos like never before. It is much more than just a camera. It helps you create with more freedom than ever. Garmin Forerunner 230 GPS Running Watch tracks heart rate, VO2 Max estimate and recovery advisor when used with a compatible Garmin heart rate monitor. Connected features: automatic uploads to Garmin Connect, live tracking, audio prompts, smart notifications, social media sharing and music control. Customised training plans from Garmin Connect on your watch for real-time coaching. Tracks time, steps, distance, pace, cadence and calories burned indoors and out. Activity tracking counts steps, distance, calories and sleep. Zhiyun Smooth Q 3-Axis Handheld Gimbal Stabilizer is a Newly Optimized Zhiyun’s 5th Gen high-precision Stablilizing Algorithm System, the Smooth Q realizes 30% improvement in gimbal response speed and 40% increase in motor torque compared to Zhiyun Smooth II Gimbal, resulting in more accurate and quicker response times. Katana was developed for one simple reason, to harness the power of your Mavic’s camera and gimbal, while shooting on the ground. Katana enables you to capture precise hand held shots in tight, or difficult to fly spaces. PolarPro’s new mobile phone mount is also included allowing you to see exactly what you are filming as you shoot. The monitor mount ensures that your shots are framed up perfectly. Katana also allows you to use your Mavic in no-fly zones such as national parks, or crowds. While you may not be able to fly, you can still capture the moment professionally. From action sport follow-cams, to small video productions the creative possibilities Katana enables are only limited by your imagination. Amazon Echo Dot is a hands-free, voice-controlled device with a small built-in speaker—it can also connect to your speakers or headphones over Bluetooth or through a 3.5 mm audio cable to deliver stereo sound to the speakers you choose. Echo Dot connects to the Alexa Voice Service to play music, provide information, news, sports scores, weather and more. Prime members can also ask Alexa to order eligible products they’ve ordered before and many Prime products. All you have to do is ask. Eachine E50 is a new ultra light version of the pocket drone that jumping on the foldable bandwagon. Offering app control, altitude hold and an adjustable camera. It has brilliant value, great first drone/quadcopter, lightweight, foldable and portable, responsive and minimal latency, and simple and easy to fly with the app. 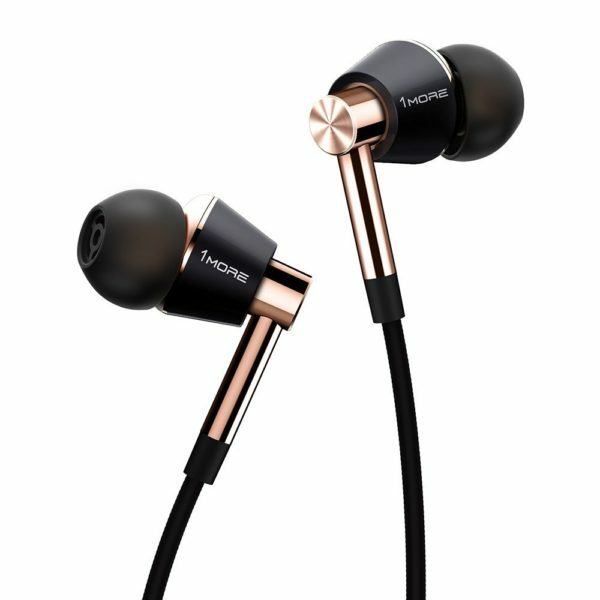 Triple Driver In-Ears epitomize 1MORE’S mission: They’re not in this business to sell headphones. They’re in this business to deliver music. Triple Drivers represent every sonic detail the artist intended you to hear. In essence, they disappear so there’s nothing between you and your music. GoolRC 509W Drone with APP Control & Gravity Motion Sensor function for Android/IOS , Altitude Hold & Headless Mode & One Key Return. By fpv real time transmission,you can see exactly what your camera sees from an all new perspective,it`s your flying camera. Brother HL3140CW A4 Colour Laser Wireless Printer saves time with high speed 18 ppm mono/colour printing, flexible paper handling with 250 sheet paper capacity and single sheet bypass tray, faster and more secure 802.11n wireless network connection, effortless mobile connectivity enables printing direct from your Apple iOS, Android, Windows Phone or Blackberry device.